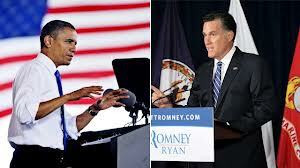 SARONNO, Italy - There was an invitation in the mail the other day to the election night get together in Milan. This year it’s sponsored by Easy Milano, a slick, classified ad publication for the English speaking community in Milan. They didn’t say where the get together was going to be held but that there would be food and drink and a big screen TV so we, Republicans and Democrats, can watch the election results together. 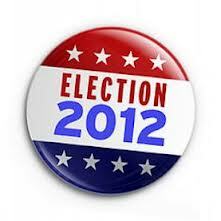 I’ll be the first to admit I am a political junkie. I love the game of politics: I love the stump speeches, the rallies, the ads, the polls and the debates – oh the polls and debates, they are my favorites, I never tire of them. Italian elections haven’t been any fun at all. They are over before you know it. There are hardly any ads on TV – too expensive according to my friend Andrea, and apparently nobody pays attention to them anyway. I asked him how the political parties raise money to fund the campaigns and he told me that they are reimbursed by the government – but only if they win. Apparently there are no super-pacs, lobbyists or billionaires trying to influence the elections in Italy. How boring, especially if you think about this process in terms of a video game. In one video game there are sleazy billionaires buying shares in politicians, voter suppression and voter intimidation tactics, district realignments and labor union busting bad guys wielding vaginal probes challenging the super hero in a battle that never ends, and another video game that is a two week long fizzle with a few billboard advertisements about some guys in Armani suits, and maybe a debate or two on TV. I ask you, which would you buy? On second thought it might be too difficult to even create an Italian Election Video Game because there are too many players. The last time I looked there were 28 political parties in Italy, 6 major parties and 22 minor parties, and that doesn’t include all of the regional parties. If I include them that brings the number up to 87, and that’s without the two parties abroad, the Associative Movement Italians Abroad (Movimento Associativo Italiani all’Estero) and the Italian Associations in South America (Associazioni Italiane in Sud America). And beside, the Italians don't have a super hero – or maybe they do. Andrea said he’s going to watch the upcoming elections in Sicily very closely this time because he thinks some changes in the government are in the wind. In Sicily, the major contender is the Five Star Movement (Movimento 5 Stelle, M5S), a populist, partially Eurosceptic, ecologist, pro-direct democracy, pro-free access to the internet and anti-corruption party. 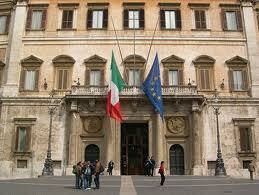 It was launched by Beppe Grillo, a popular comedian and blogger. I remember Mr. Grillo. I used to see him sometimes in the bar having coffee when I lived in Genoa Nevi. As far as I know, he still lives there. Mr. Grillo’s been banned from television for as long as I can remember, for being too political and speaking out against the government. Keep in mind that before Mr. Berlusconi launched his public television stations, Italy had three channels, all controlled by the government. So now we have six channels, three controlled by the government and three controlled by Mr. Berlusconi. It hasn't helped Mr. Grillo at all, he's still banned. But Mr. Grillo isn’t a candidate, never has been. His role has been to shine a spotlight on corruption and rally the troups. He recently proposed that members of the Italian Parliament who have a criminal record should be barred from public office and that members of Parliament be limited to two terms of office after which they would not be eligible to run again. Ever. Actually that doesn’t sound like such a bad idea. He may be on to something. What's This? 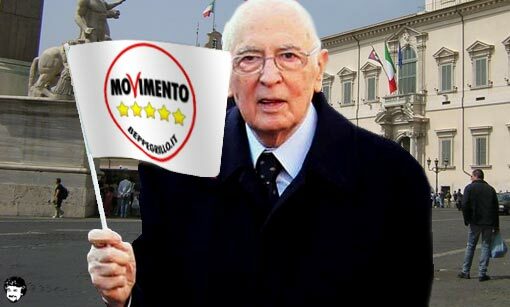 The President of Italy Supporting M5S? Wow! 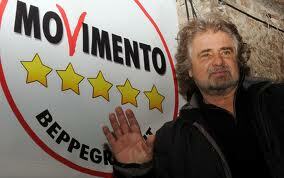 At any rate Mr. Grillo's Movimento 5 Stelle, M5S, is the only bright star on an otherwise dull political horizon. You can see why by checking out his blog at beppegrillo.it It’s available in Italian, English and Japanese and has been ranked among the 10 most visited blogs in the world by Technorati. It's the real deal. Even The Guardian, one of England's top newspapers has called it one of the most powerful blogs in the world. So, as the American election draws to a close I’m a little more confident that this time that I won’t have to suffer as I have in past election years from the absence of my daily dose of spirited political news. While American elections only take place every four years, I may have found a new, all year, every year source of wonder and fascination, and it speaks Italian. p.s. sorry about not posting Auntie Pasta this week. I wrote it, it was ready to go, but in all the confusion that is swirling around me these days, I completely forgot to post it.